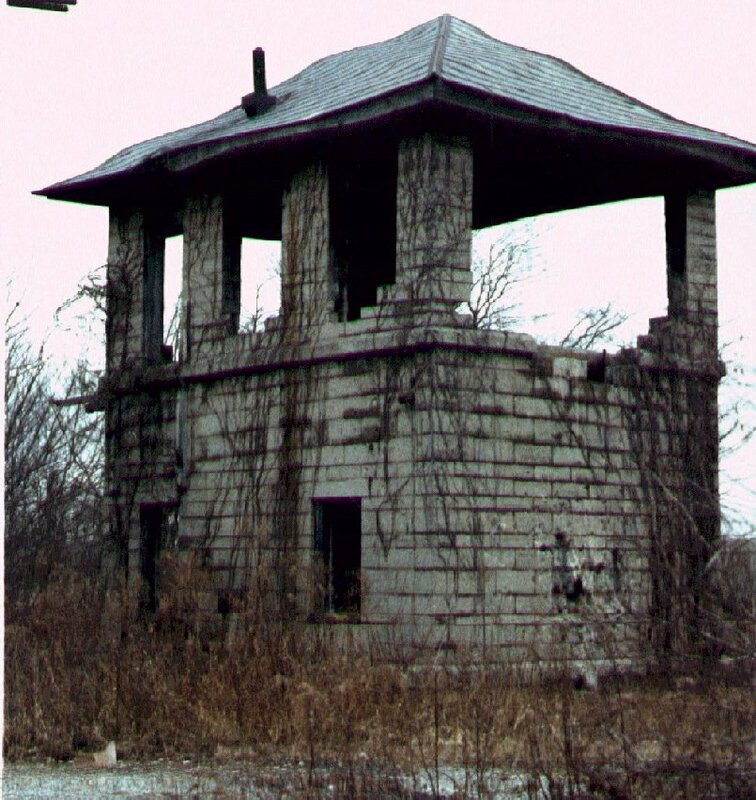 This is an old Pennsylvania switch tower located in Newton, IN, just south of North Manchester. 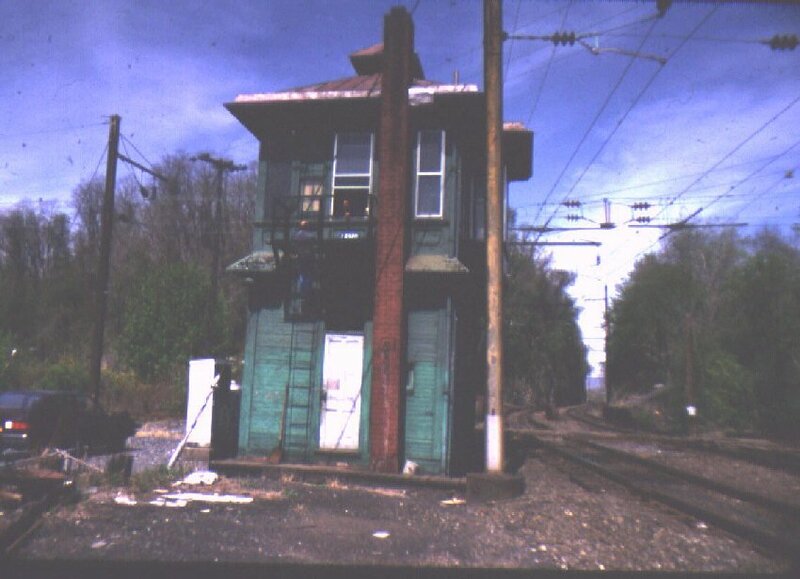 The tower used to guard the crossing of the former PRR Vandalia Line with the Erie's Chicago main. 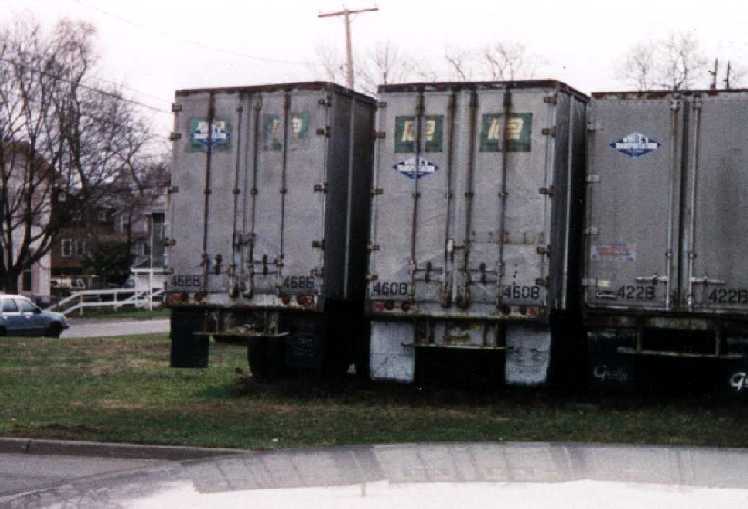 This picture is from the mid- to late-1980s. Photo by Ryan Ritenour. 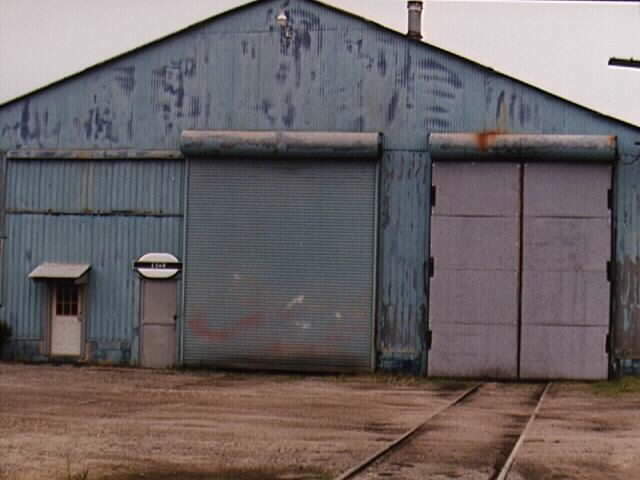 Here is a photo of the old PC 2 bay engine shed in Norfolk VA. 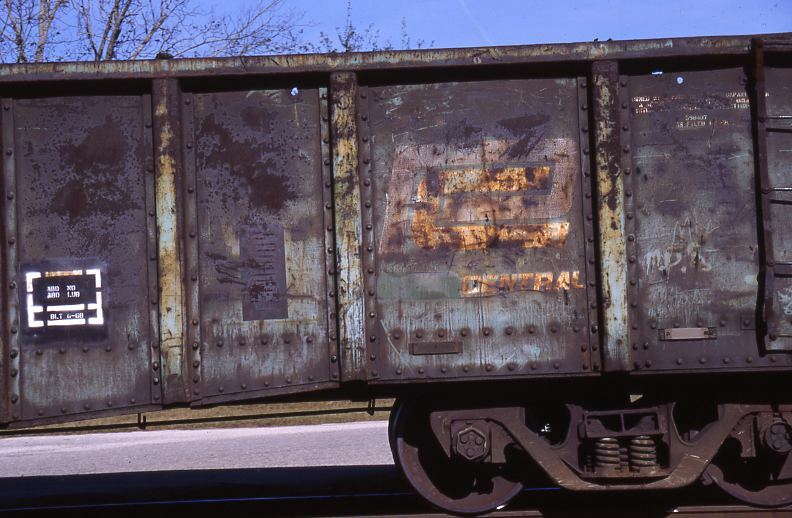 It is now used by the Eastern Shore RR. Contributed by Len. 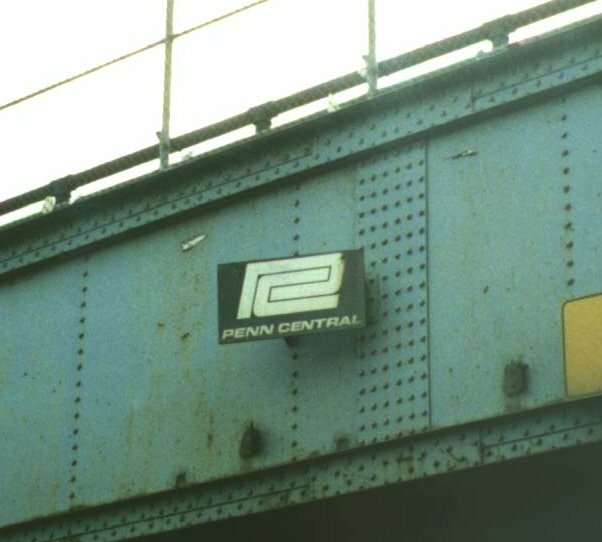 PC sign still on a CR bridge on Detroit's east side. This sign can be found on w/b Interstate 94 just east of Mt. Elliot Ave. Photo by Jeff Feldmeier. 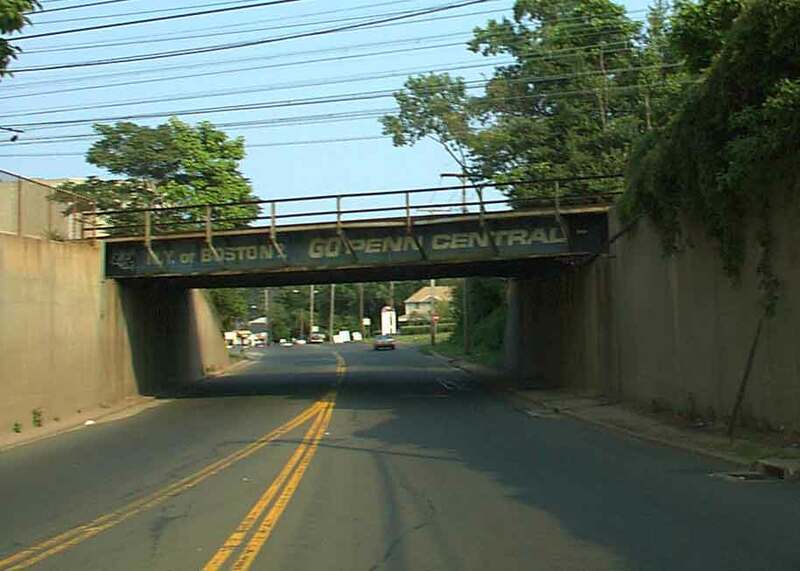 Bridge over Saw Mill Road in West Haven, Connecticut. The lettering says "N.Y. or BOSTON? 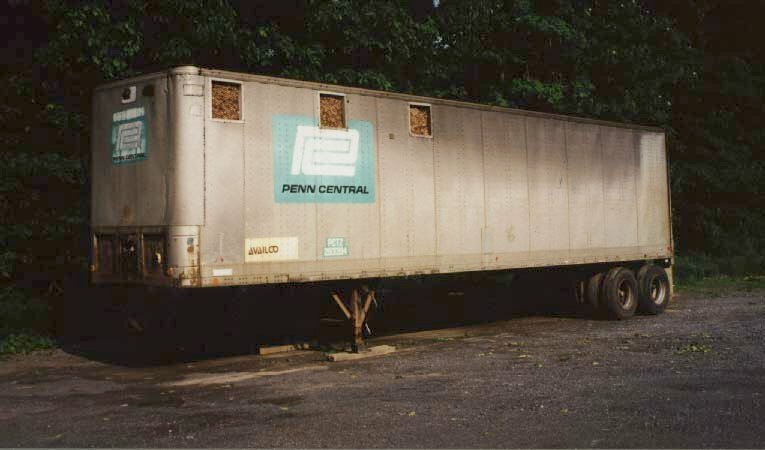 GO PENN CENTRAL". Photographed on 6/29/01 by an anonymous contributor. 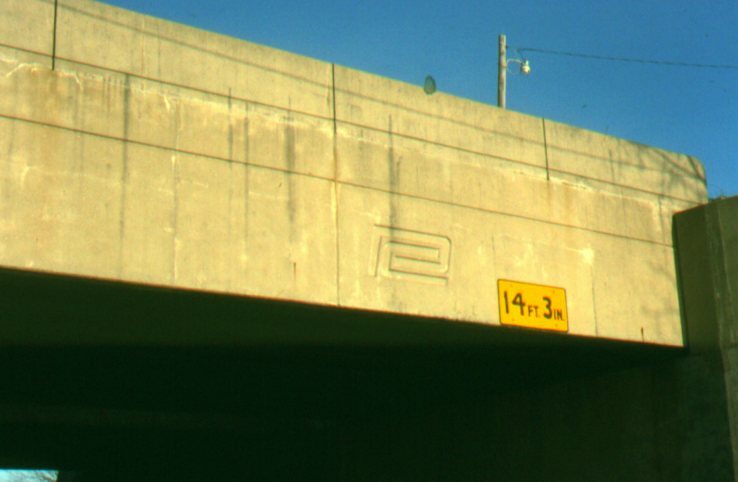 Here is an overpass in S. Anderson, Indiana, with a Penn Central emblem embossed into the concrete. It is still there today. Photo by Steve Hipes.